Most of you are aware of what I’m writing about here, but we have a number of new readers. These daily devotionals are also available in book form. 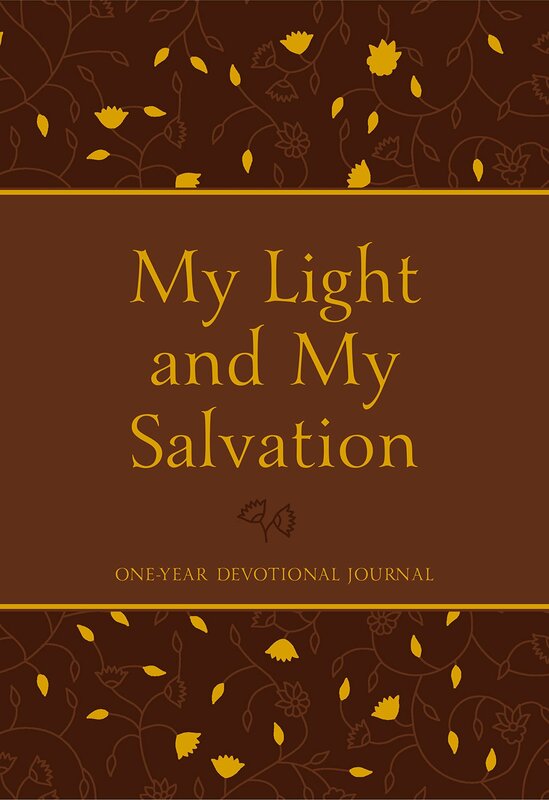 The book is “My Light and My Salvation” (see below) and it’s available from BroadStreet Publishing, Amazon, Christianbook, and other places. Each entry is a slightly edited version of the electronic entry, and the book is also a journal, with room for notes. I’ve been told that BroadStreet is planning to re-issue the devotional in a more compact form at the end of the year, taking out the journal part of the book to make it smaller and more portable. But there are still journal forms of the book available for anyone that would like one for themselves or as a gift.